Grandmother Moon comes into her fullness in Aries reminding us to steep in the power of our own inner knowing and truth. The fire that burns within us can never be extinguished. It is this truth of our inner Being that needs to be honored and tended to. Now is the time to bring forth our truth in a way that can heartfully express, assert and realign that which is out of balance. With the Sun in Libra, we can learn to do this in a way that is compassionate and cooperative so that it can illuminate, purify and transform. This is a fiery moon that will ignite many emotions. Let’s allow for deep breaths, grounding into Mamma Earth and communicating from the heart. “This Full Moon in Aries is a call to look at our personal and collective history with anger, aggression, rage, violence, reactivity and shadow masculine expression. “This is a Full Moon to take stock of the self and other dance in our lives as individuals, as countries, as beings who inhabit planet earth with others. “If we overdo ‘my way or the highway’ and try to strong arm everyone else- this Full Moon will not be fun. “If we are willing to work towards collaboration, compromise and connection- then this Full Moon will be more illuminating, freeing and evolutionary. “In the Full Moon chart we have Moon at 12’43 Aries opposite the Sun/Mercury/Vesta conjunction in Libra. “This brings focus to how we communicate with others. Are we diplomatic, tactful, graceful? “Are we taking out our unprocessed anger and rage on others- or are we using partnership and relationship as a mirror to see our own reflection. “..we have to see how our unconscious anger, assertion or desires need to be expressed differently. “Don’t project your Shadow – embrace your anger and discover what it’s trying to tell you. “Own your desires – if you repress them you twist them out of shape. “Be assertive when you need to, and when not, let others lead. “The Libra Sun shines her light on the questions of balance, equality and beauty. “With Mercury and Vesta close by, truthful communication is a must to bring things into balance, especially in close relationships. We have to be willing to disagree as well as compromise to come into balance. “What can we do about violence? How can we help our devastated neighbors? How can we create beauty in our relationships rather than ugliness, while staying true to ourselves? “Pluto along with Juno is squaring the Sun and Moon signaling a dynamic moment, perhaps of crisis, perhaps an opportunity to partner and relate in a new way. “Relationships whether personal or in business may take the brunt of the Aries heat that needs release. “The backbone of our relationships might be in for some restructuring after words fly to clear the air. “If feeling erupts under the Full Moon, have the courage to listen and receive. Default to the Truth. “Perhaps you can offset unsettled and volatile emotion by drawing on Libra’s ability to speak first with love and kindness creating a container where restlessness, stress or aggression can be acknowledged and contained. “Pluto and Juno, asteroid of partnership and marriage, will be moving closer and closer over the next 60 days. “This Moon just might signal the emergence of an issue ready to be dealt with from deep within your relating issues. “We aren’t born afraid to be our selves. We aren’t born fearing what other people will do or say in response to us, what their reaction will be. It is learned behavior. “It can be scary to be ourselves–so real, so aligned, so honest–because it pushes other people’s buttons. Because real-ness is scary to those who can’t be real in their own lives. “Authenticity is something to reject for those repressing their truth. “I used to let what they couldn’t handle give me pause about sharing my self. Until I learned that is not feedback about what I should or shouldn’t share– it’s feedback on who and where they are. “As the Libra Sun opposes the Aries Moon, your authenticity, honesty and real-ness is bound to meet a reaction from others. “There’s still time to diffuse the situation. It’s clear that we’re unhappy – we’re ‘protesting’ but not being heard (it’s ‘unsuccessful’). So maybe we need to change the way we’re doing things and for that, we look to Mars. “Mars is in healthy Virgo snuggled close to lover Venus. These two are trying to kiss it better. With Virgo accented, Mars makes the point that small actions and attention to detail is what is required at this time. “…Mars is also opposite to Neptune, an insidious aspect we need to watch out for. I have already seen several rather ugly memes talking about how prayers are empty and people should (a Saturn word!) do something. “Again we have an ‘either/or’ problem here. There’s an assumption that those who say they are praying for XYZ are not doing anything yet many people are doing something as well as sending prayers. “Many are helping in their own small way (advocated by Mars) because they don’t have the power to do more. We must not forget the small and humble daily positive acts in the desire for immediate resolution. “Small is not weak. Simple is not insignificant. “Yes, prayers alone cannot fix problems on the ground but a sea of empathy, a tide of compassion can be part of the change. “Instead of feeling defeated or distracted by Neptune, Mars can get inspired by working together with others, acting on intuition, fighting for the dream. “We can be spiritual warriors, spirit movers and shakers, driven by a collective knowledge that we are all souls having a human experience. “Sometimes we make mistakes and correction is necessary but it can be done without tearing each other down. “The biggest message in this Full Moon is that we can’t give up and check out. are you still offering the horoscopes ? I miss them and can’t seem to find them . Whoa. This really hit home. Thank you! Thank you for sharing some light. I am learning about and from your well chosen astrologers. The overlaps and harmonies and differences among them offer breath. Breadth too. 🙂 Merci. I give thanks for your Beautiful Spirit and for the wisdom and love in each post. Right on time as usual for this Aries here. OM ! So very helpful and apreciated. Thank you, MYSTIC MAMA ! This is the most wonderful website. I am an Aries and feeling this full moon energy a lot. Your words MM and all the astrologers bring great reassurance. As always, this is a neato insight blossomola. Full Moon in Aries is a personal favo — I figure evry year she rolls around I may be forever consoomed. However, if evrythin’ plays out as it’s always done, worst case scenario is I stumble round in a daze till the weekend, droolin’ like a blissed-out imbecile. man, seriously, how do you know this stuff? thank you for your guidance during my own private crisis, this is EXACTLY right. i will try to stay connected and diplomatic – only theough making it work can i move on. May we be guided to a deeper journey towards all that is Good and Holy. May the fire not transform into anger and rage no more, but into SPIRIT. This was really nice, thank you! Nope. And I wish more people would look deep inside and figure this out! This is wonderful. We can ask What is a lie? A spiritual lie? Sometimes we hold back and abide by the old super ego way of doing things. And instead of having the courage to react or feel our emotions, we censor our true self. In the process we actually commit a lie, To both ourselves and the other person. For just as others are our mirror, we too are mirrors for them. We have a role to play too. Sometimes to act in your truth (even if it’s ugly) is to present the real situation to the world. And in a magic moment something then happens. Liberation for all involved as the light shines in the darkness and hidden worlds. The opposite is to keep the truth locked up. Maintain the lie. Tonight Asar (Aries) and Auset (libra) stand opposite each other in the sky. The light shines from the divine isis and reflects the full energy of the young osirus. The two lovers meet once again from across the skies. This is a wonderful moment. The magical feminine shining light of truth on the zealous masculine. Not in hatred or competition but in love. Deeply grateful for the clear guidance! 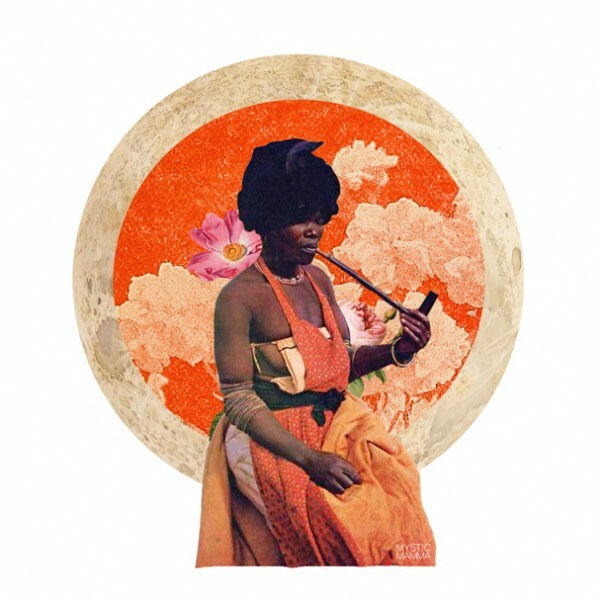 Happy Full Moon in Aries! Love and Light to you Mystic Mama! “and I won’t back down, no, i won’t back down….” in the words of the late great, Tom Petty. How real. How potent. How medicinal. Thank you to all & BLESSED BE! Hello, Aries here :) This has been one hard week for me. I have a problem with a colleague from work for the last six months. I try to be nice to here and help her with her stuff but she’s ALWAYS being rude to me, having mean comments or being passive aggressive and all of the time i feel being used. I try to act calm and not react but this week she was super rude all the time. To be honest, I would like to scream at here and punch here in the face…But! I will not do that because I don’t wanna be that person. It’s hard to let it go and keep an calm mind, but for me to change the way I handle this situation is the best way to go. This is exactly where I am. I was feeling so upset and angry and it seemed that it came out of nowhere. Thank you for this message it gives me an understanding that I didn’t have in understanding what is going on.